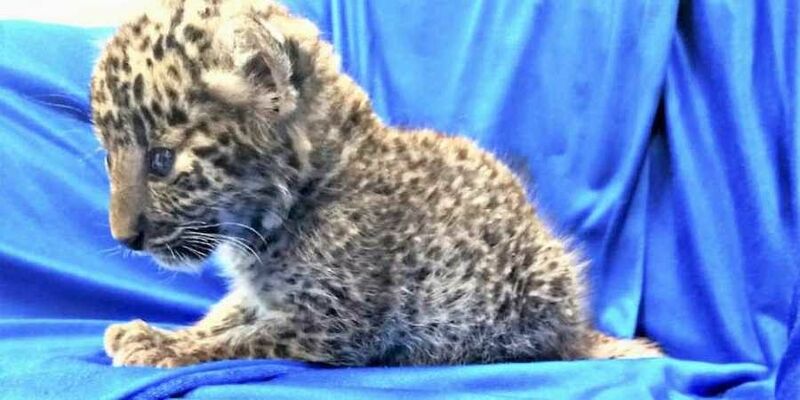 Customs officials at the Chennai airport claim to have rescued a one-month-old leopard cub from the checked-in baggage of a passenger from Bangkok. Meanwhile, the passenger carrying the leopard cub has been handed over to Tamil Nadu Forest department for further action. The female cub was found after Chennai airport staff heard muffled cries when they stopped a man for a random search yesterday morning. Evasive replies given by Moideen prompted the officials to open his baggage. Customs officials had received specific intelligence regarding the attempt and were watching passengers who arrived from the Thailand capital at 1 am on Saturday. The cub was transported to the Arignar Anna Zoological Park in Chennai after a veterinarian from the park examined him, according to NDTV, an Indian television station. "The animal turned into in a state of outrage and turned into making trill sounds, and looked as if it might perhaps perchance presumably even be passe", airport officials acknowledged. The officials of Wildlife Crime Control Bureau (WCCB) identified the cub as leopard cub of "Panthera pardus" specie. A video showing the cub wrapped in a blanket and being fed using a bottle has gone viral on social networking sites. The cub was seized under the provisions of Customs Act 1962 read with Wild Life Protection Act, 1972 and CITES. Further investigations are on to find out why the cub was smuggled, and if it was to be sold to a customer in Chennai.